Time flies, our favourite Watsons VIP Card is celebrating it's 7th VIP Members Anniversary from now until 2 October 2017. 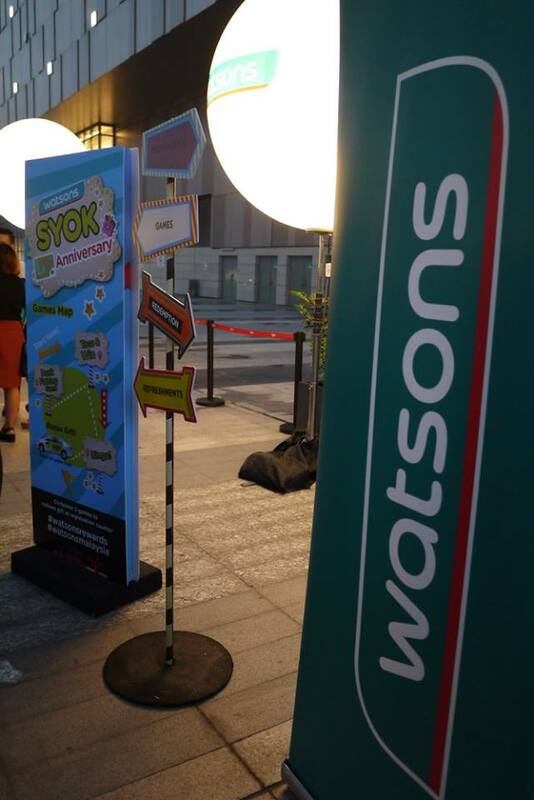 Happy Birthday to you Watsons VIP Card! 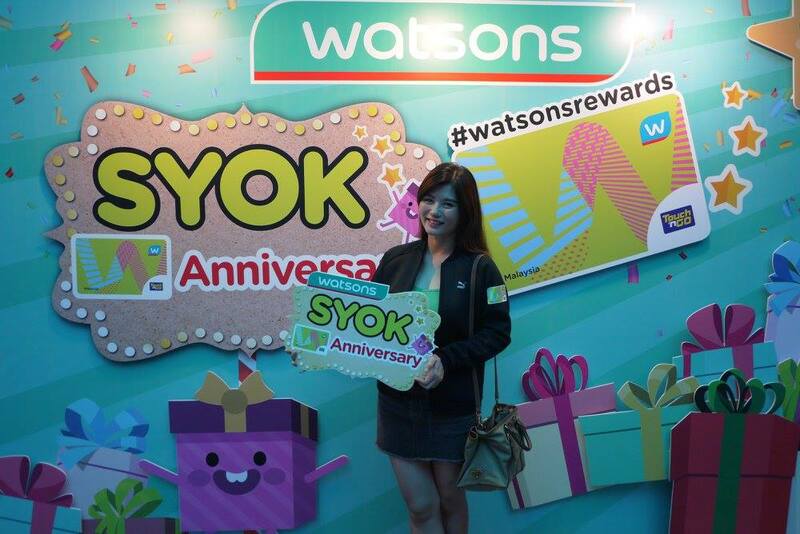 Watsons VIP card members will certainly “look good, feel good” and feel syok as well with the amazing #watsonsrewards throughout the months. Well, we could look forward to many goodies, a line-up of exciting deals, promotions, offers, members only sales, carnivals in malls, great joint promotions with leading brands, as well as local and International artistes support and appearances. Sign up as Watsons VIP Card now to enjoy new sign ups promotions like to RM 300 worth of Watsons vouchers, receive 500 VIP points upon activation and RM 5000 worth of health club, dining, travel, beauty and lifestyle reward vouchers. 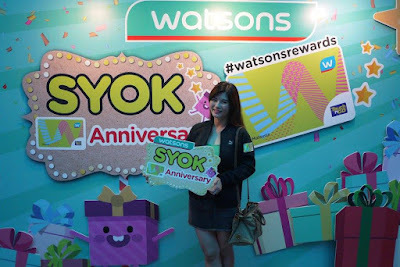 Joining with a loyal following of more than 4 million members nationwide, Watsons VIP card comes with more health club rewards with more than 1000 #watsonsrewards merchant locations nationwide. 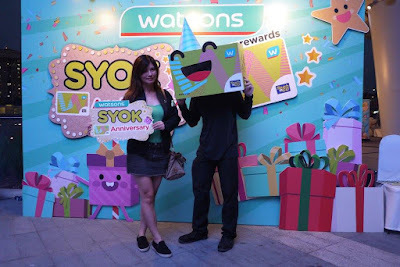 Besides this, Watsons VIP Card members could also enjoy lifetime membership, earn 1 point for every RM 1 spent, pay using points, 200 points for RM 1, earn 2X points with Watsons brand products, earn 5X points on Birthday month, pay for your purchases using Touch N Go on your Watsons VIP card to earn 5X points, and exclusive discounts on health products. What's more? 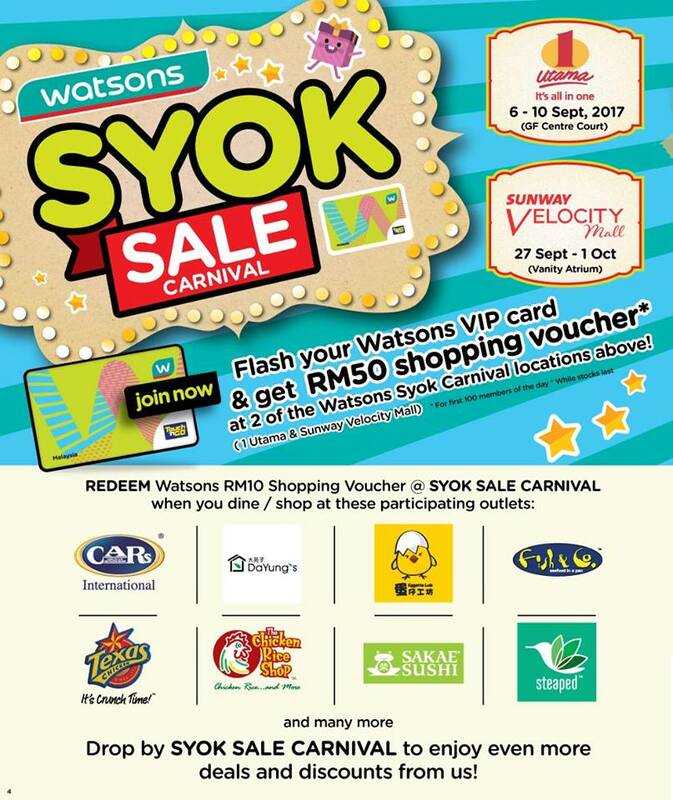 During the Watsons Syok Member Anniversary celebration, Watsons VIP members can purchase items with a combination of cash and Watsons VIP points, have the opportunity to redeem free reward coupons worth RM 300 with purchases of RM 50 and above, and purchase exclusive items on sale of up to 50% in all Watsons stores. 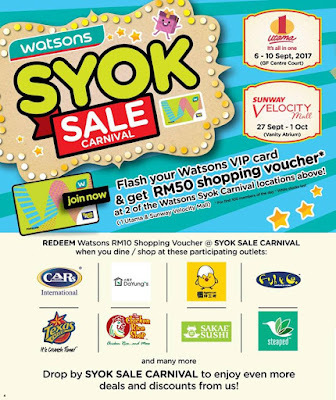 Watsons VIP members can enjoy great discounts and free giveaway such as Watsons shopping voucher, and using a combination of cash and Watsons VIP points to purchase items at the Syok Sale Carnivals. Not only that, shoppers can look forward to an amazing line-up of activities and entertainment including celebrities meet and greet sessions, free health checks, cooking demonstrations and beauty workshops. 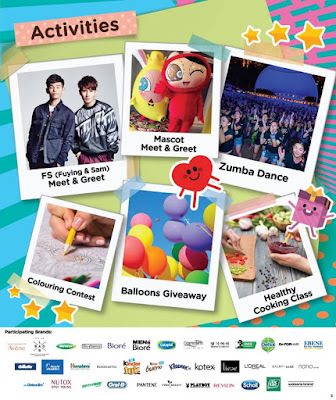 On top of these activities, popular TVB actresses Sharon Chan and Elaine Yiu will be making an appearance during the Syok Sales Carnival at One Utama Shopping Centre at 5pm on 10th Sept. Mark your calendar and make your way there ok.
“Our Watsons team together with Watsons Celebrity Friends traveled on Grab car to the homes and offices to distribute a delightful surprise of a Watsons hampers and Watsons VIP points to the most spending shopper winners. Now, we are offering Watsons VIP members and RM 15 off 2 rides with Grab by using promo code 'GRABWATSONS', said for new Grab users and limited to the first 5000 redemption. We will also offer Watsons vouchers for redemption on the Grab app, as well as a 'Spot & Win' campaign where ten most liked photos posted on Instagram will win a total worth of 1 million Watsons VIP points”, said Danny Hoh, Customer Director of Watsons Malaysia. With all these benefits of the new Watsons VIP card, Watsons will further elevate as a preferred health and beauty in Asia, addressing the needs of health and beauty in-store and online. 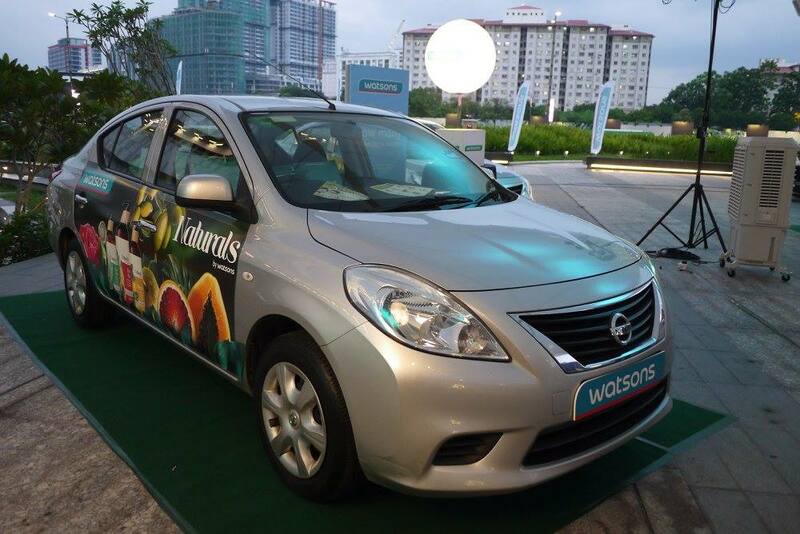 For further information and benefits of the new Watsons VIP card and anniversary celebration, logon to Watsons website. love shopping in Watsons. I have got the card too shall visit the carnivals! I tend to spend more on shopping when treatment VIP, hahaha I love Watsons :) Hope some of the products in Watsons Malaysia and Singapore will also available in Watsons PH. It's hard to believe that this membership is 7 years old already. I still remember the time I applied for it. Living Ipoh, I don't get that many benefits, though. 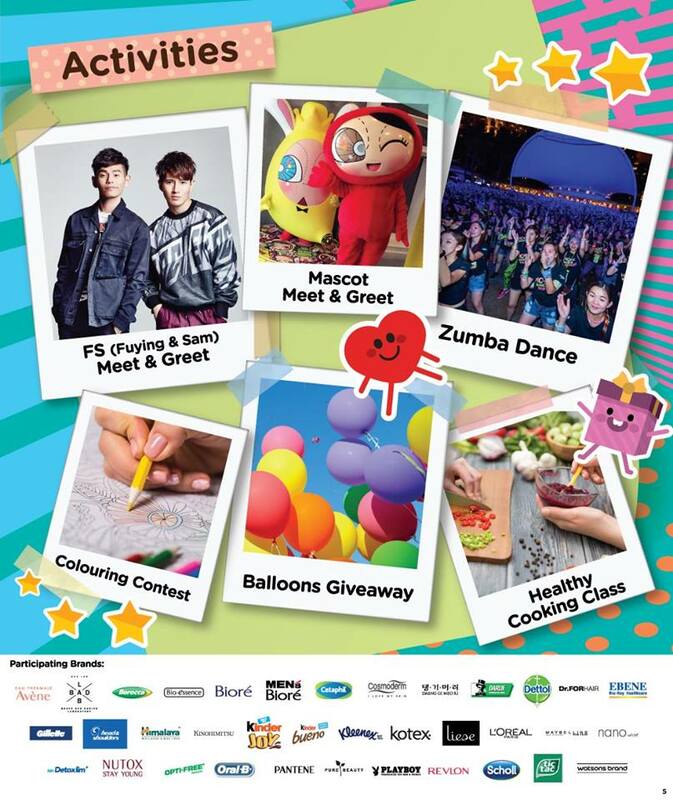 I can't wait to go to their SYOK Carnival, I have a list of things that I want to buy... hehehe. Watsons is my shopping heaven. I stay there for almost 2 hours just to check their items one by one lols.